Cuisine and flavour. 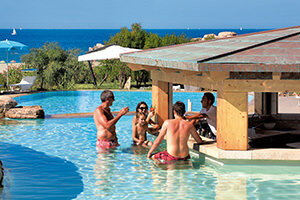 Enjoy the taste of a holiday in Sardinia with Delphina hotels & resorts. 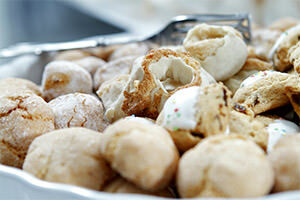 A holiday in Sardinia is also for discovering all its different flavours. Get ready for a sensory experience featuring ingredients from traditional Sardinian and Mediterranean cooking surrounded by an irresistible backdrop, the Sardinian sea. High-quality cuisine starts first and foremost with the selection of genuine fresh ingredients, preferably at 0 kms and which in the hands of award-winning chefs become small masterpieces of flavour. The pleasure of the sense of taste is then combined with that of sight: panoramic terraces and enchanting seaside locations garnish every dish with a dash of beauty. 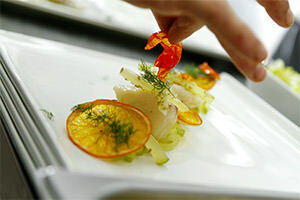 The really outstanding feature of Delphina cuisine is its quality! Delphina is your friend in Sardinia and will take you on a journey in which you can get to know the island through its cuisine, where local specialities and genuine ingredients will allow you to rediscover the most authentic flavours of this land. The tables in Delphina restaurants are always laden with top quality products, carefully chosen from the best produced in the area: delicate fine-smelling bread, extra-virgin olive oil, cheeses, salami and the freshest meat from farms in the Gallura hills, the catch of the day from the sea and fruit and vegetables from local producers. 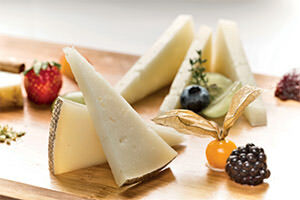 It is by starting with these raw materials that the best dishes from Sardinia’s gastronomic tradition are created along with inviting menus offering Mediterranean and international cuisine, all of which are even more enjoyable if combined with a good glass of wine from the finest Sardinian selections. Genuine Local Food Oriented is exactly this: promoting and supporting healthy, correct and fair cuisine through the selection of local ingredients, preferably at 0 kms, that change according to the season and which sup-port the island economy. Genuine products with an unmistakable taste that will allow you to rediscover the pleasure of sitting down to eat and that you will want to take home even after the holiday. Delphina’s version of genuine Mediterranean cuisine is the Brunch Mediterraneo®, our exclusive formula for eating well yet sparingly at lunch without sacrificing good food during your holiday. It consists of a tempting buffet* * with a wide range of hot first courses, pasta prepared as you watch or cold dishes with cereals, grains, pulses and vegetables as well as a vast selection of fruit, salads and cheeses from the island. The perfect way to make sure you enjoy long lazy days of sea and sun. If you want to visit other parts of the North of Sardinia without sacrificing the quality of Delphina cuisine, try the Brunch Around. Whether as a couple or with your family, you have the opportunity to spend a different kind of day and enjoy the Brunch Mediterraneo® in one of the other Delphina hotels. 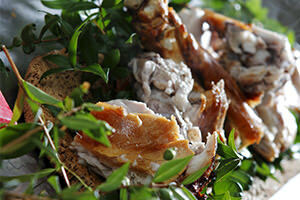 A real gastronomic tour of the flavours of Sardinia. *The Brunch Mediterraneo® and the Brunch Around are available at the 5* Resort Valle dell’Erica at Santa Teresa Gallura, the 5* Hotel Marinedda at Isola Rossa, the 4* Resort Le Dune at Badesi and the 4* Park Hotel Cala di Lepre 4* at Palau. Savour the sophistication of gluten-free cooking without sacrificing taste! 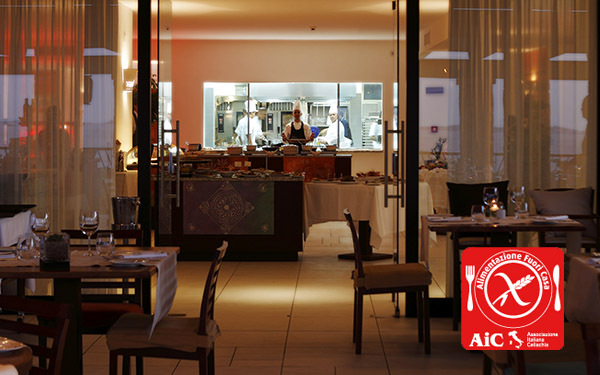 In all the Delphina 4* and 5* hotel restaurants, the chefs are always available to offer inviting gluten-free dishes without sacrificing the flavours of Sardinia’s gastronomic tradition. Each year the Delphina hotels and resorts catering staff follow specific training and refresher courses to guarantee a proper catering service for celiac sufferers. 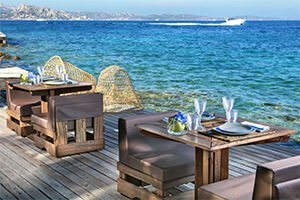 Ask for the service when booking and enjoy a holiday full of taste and good food in our hotels for celiac sufferers in Sardinia..